Just thought I'd pop up today's outfit. We went out for lunch with friends and the kids, so I went for comfy (no surprise there). 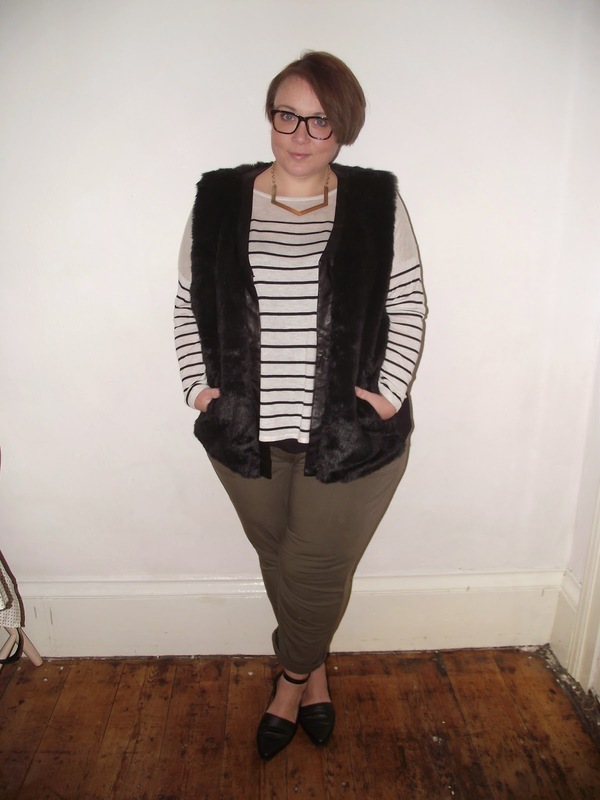 I picked up these khaki trousers from Simply Be, they're really comfortable. I sized up to a 24, but I think I could have got my own size to be honest (I know I've been doing this a lot lately), luckily they have belt loops so I can just pop a belt on. I got the stripe jumper from H&M, I've always been fan of their basics and I'm buying more and more at the moment. If you shop online with them search for the XL which is a 22/24, the sizing is always spot on and much better than their supposed plus range. 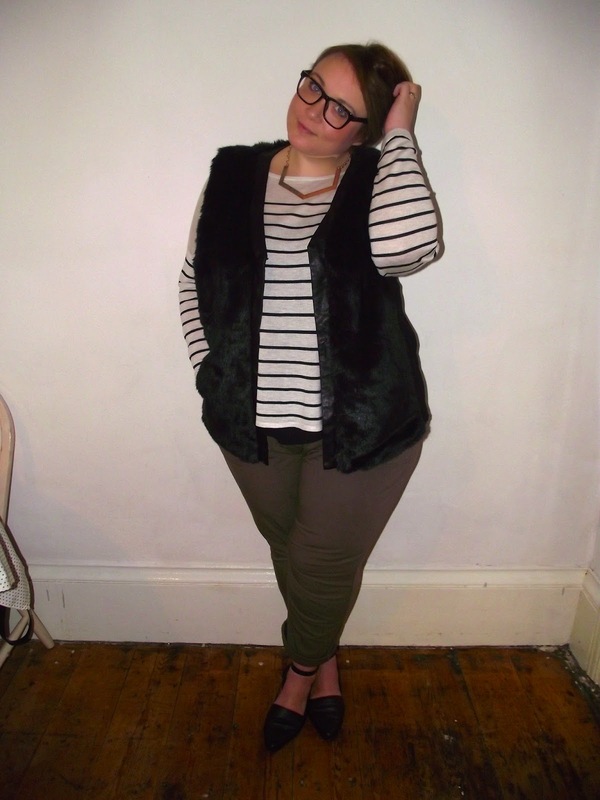 I couldn't resist popping on my fur gilet from The Curve too, it just adds a bit of luxe to the look! Oh and in the continuing hair saga, I've gone for a light brown, pretty close to my natural shade, going to try and give it a rest whilst I grow it out, we'll see how long that lasts huh? !